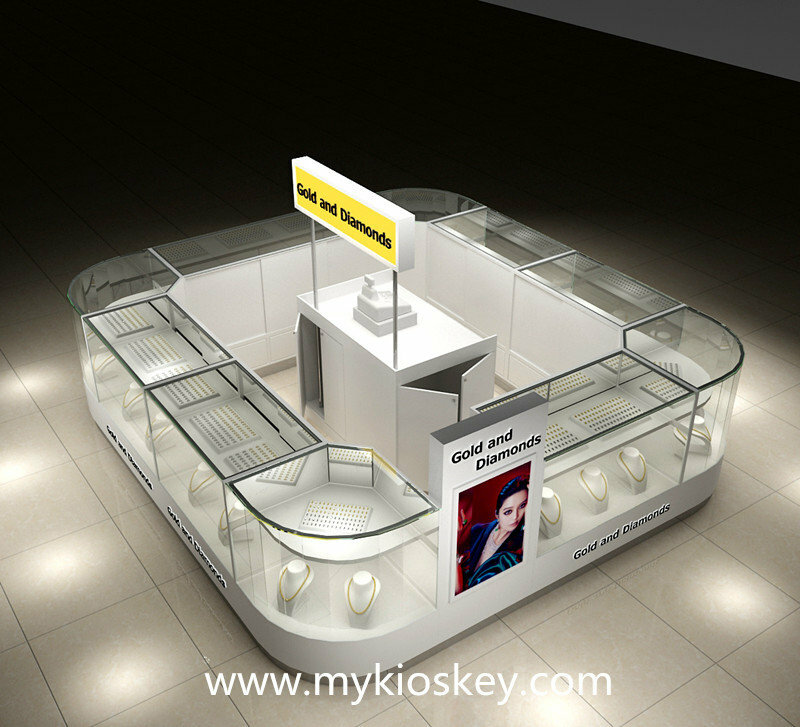 As we know,as usually jewelry and watch kiosk will located in the frist floor of shopping mall,very good location when people enter a shopping mall will see the jewelry and watch kiosk.So you can imagine,pay so high rent,your kiosk really should be very attractive to attract customers. 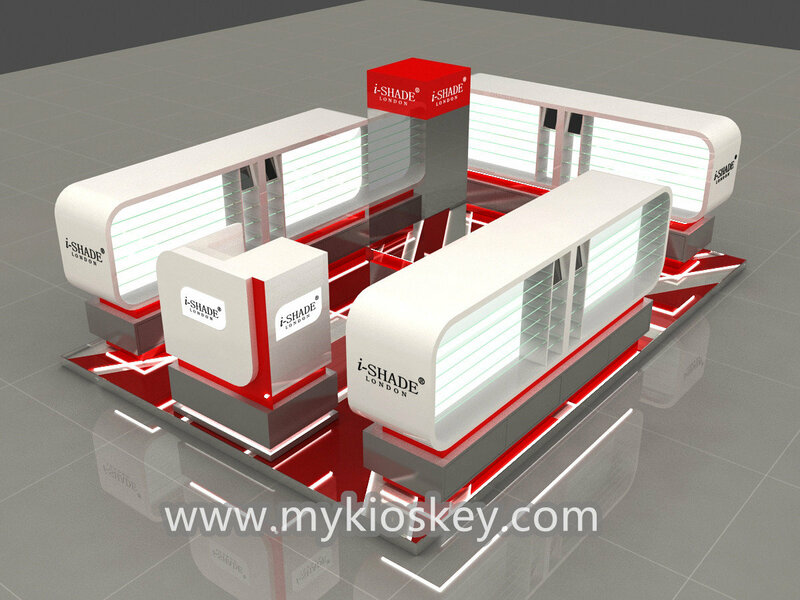 pacakge : consider easy for transport , build kiosk in pieces , each pcs inside pack with foam and outside wooden cases. payment : pay 50% before production and balance before shipment. 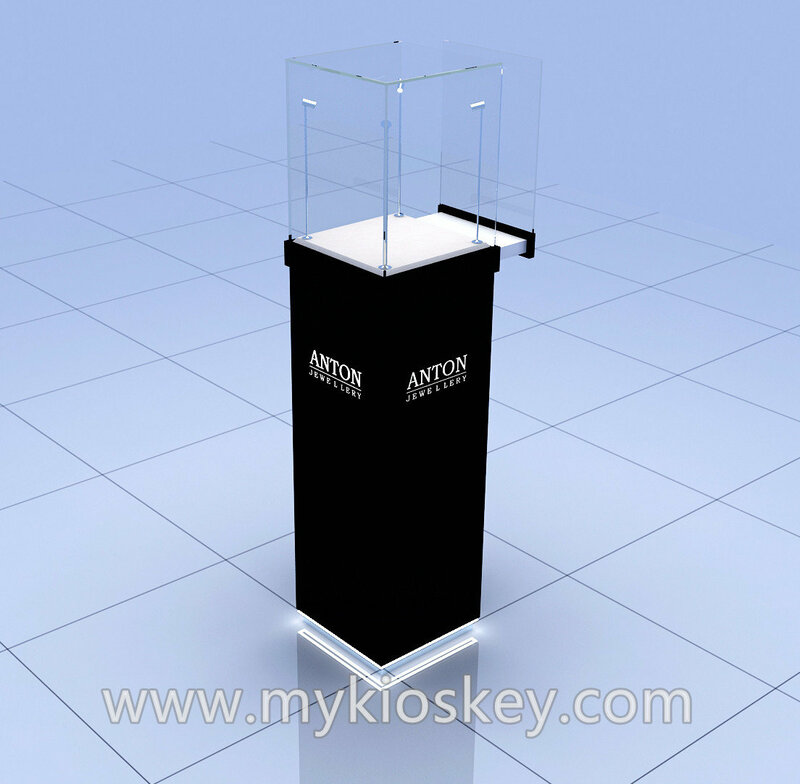 How to customize the mall jewelry display kiosk? 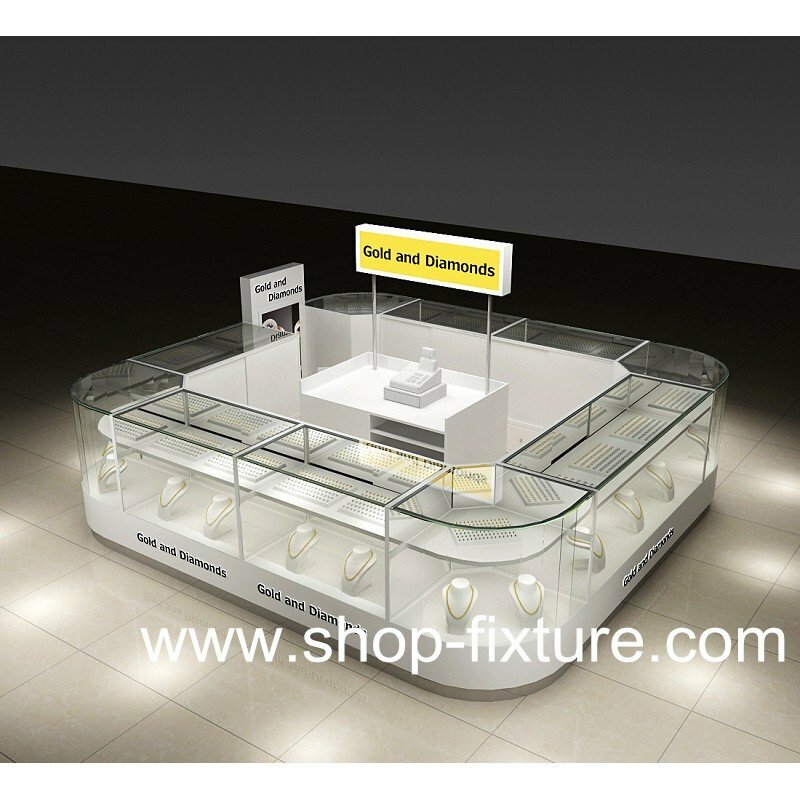 – You need to contact our sales to discuss your specific requirement regarding the design. 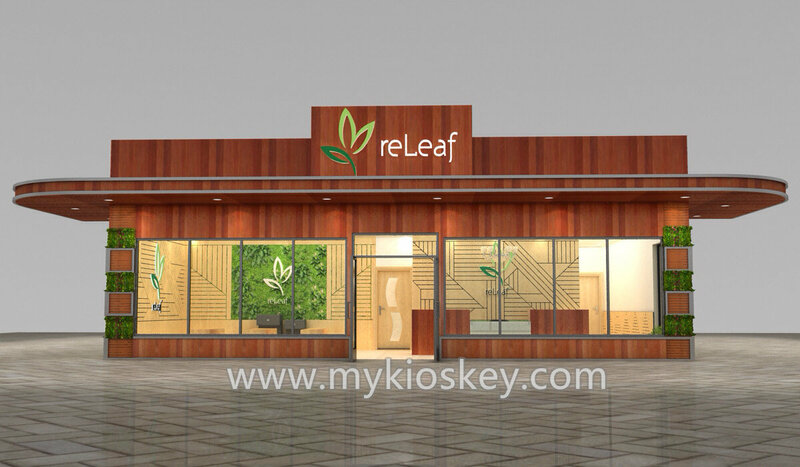 – Our design team create and revise the design according to your comments. – We sign the contract after the design has been approved. – You need to pay deposit. 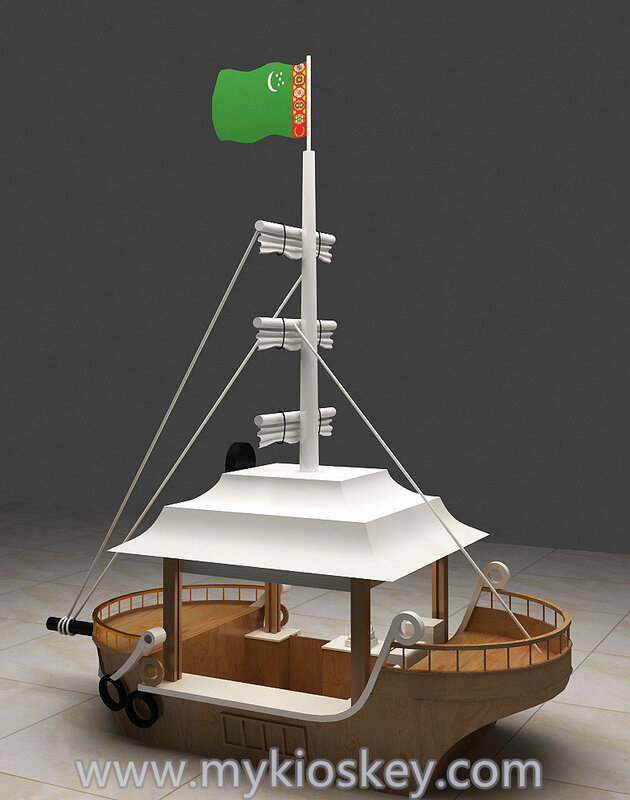 – We building according to the approved drawing of goods design. – You arrange the balance. – Shipping.We can send it to your mall if you want. – We provide technique guide service forever and replaced accessories for 3 years. – If you are VIP client, we can provide free design service after the initial order. 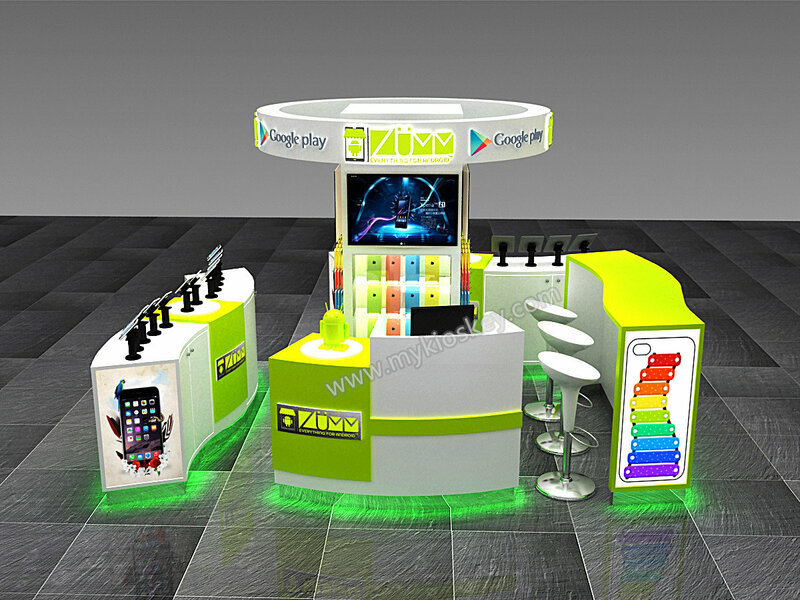 A1: price depends on its size and design , pls contact us . 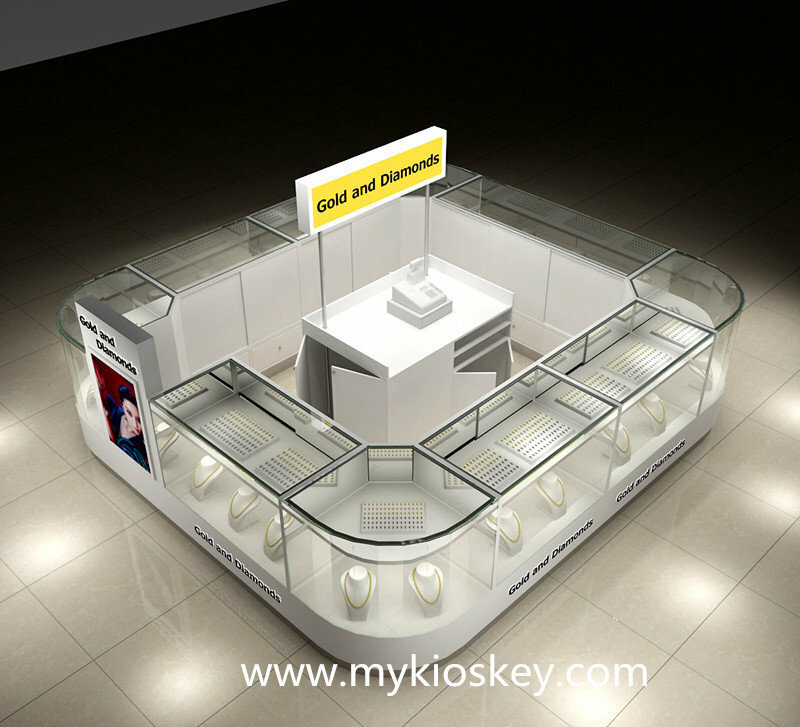 Q2:when can I get the kiosk? A2: production time about 22-24 working days plus shipping days about 18-40 days . 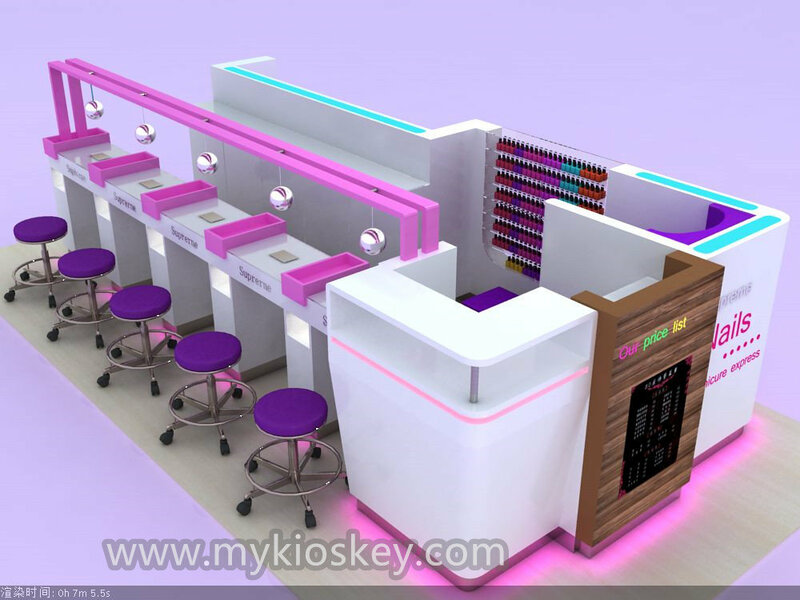 Q3:How to install the kiosk when received?is it complicated? 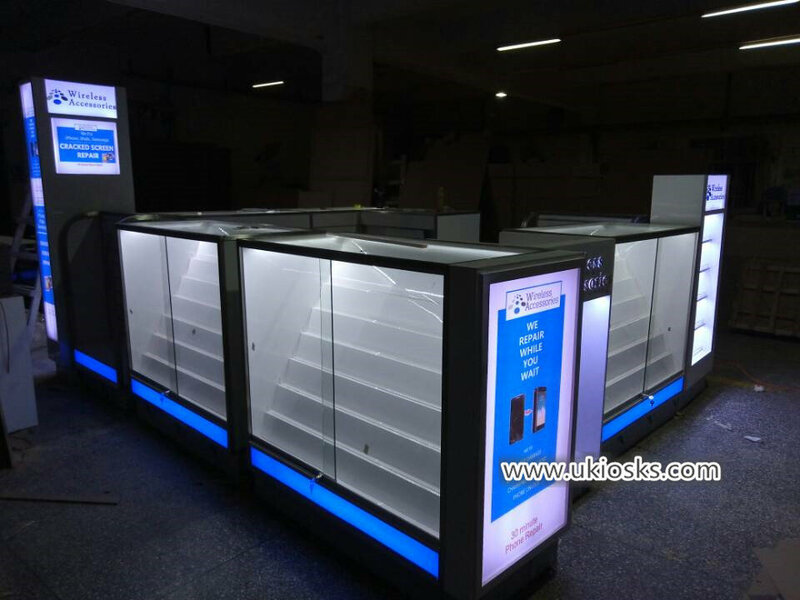 A3:considering shipping,we will devide the kiosk into several sections,and number each sections with 1,2,3,4….,then will wirte a install guideline,you just follow guideline put them together then can use,very easy. 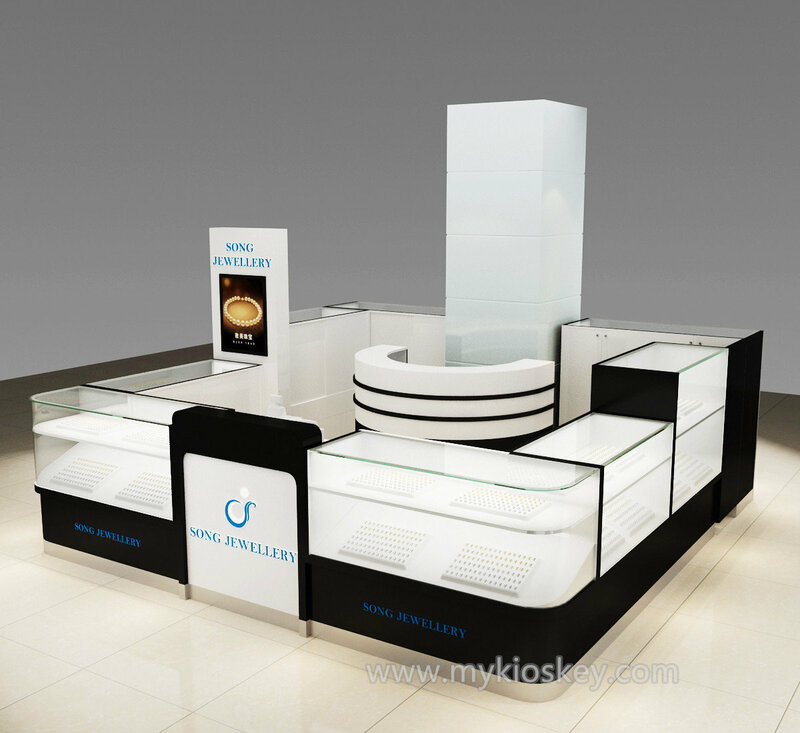 A4:as usually,the price will include kiosk,electricity,led lights,led signs,logos,posters,some equipments,like sink,mirror if need. Hope these can help you! 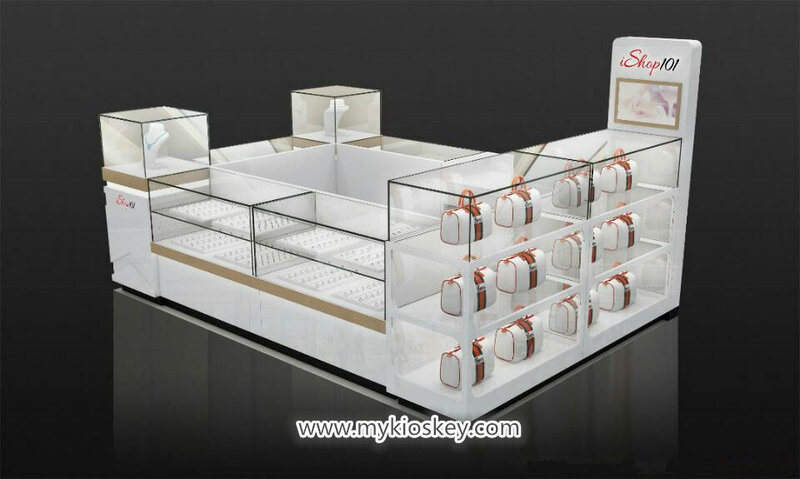 If you are interested in doing a jewelry kiosk wanna customize one belong to you,just contact us.we can customize the mall jewelry display kiosk you want!